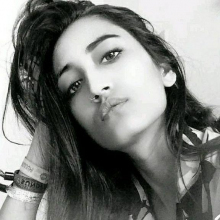 Full name: Sabina Bharati Age: 24 Nationality: Belgian Profession: Profession, headhunter Prefer areas: EC3R 6DL Budget: +- 400 Move in date: 1 week before starting my new job ( around 20may) Personality-wise; I’m real easy going, a bit sarcastic at times, and know what’s needed in being a good roommate(I won’t drink your last coke and I know how to buy the all-important tp). I’m neither a clean freak nor a slob and while my room may alternate between whirlwind and organized, I totally respect the common areas and keep them fairly neat( for full disclosure purposes,I may leave a book or jacket lying around occasionally if I’m in rush.). Hope to hear from you soon!